This site is intended for entertainment and demonstration only. If you are not comfortable working on your RV you should take it to a qualifid RV service facility to have the work done. Some of the work demonstrated in the videos on this site should only be performed by qualified RV technicians. Different RV product and RV manufacturers have different installation procedures for their specific products. It’s important that you read all installation instructions and adhere to all safety cautions and warnings prior to attempting to do any work. When attempting to work on top of your RV be extremely careful and exercise caution. RV roofs can be extremely slippery and a fall can result in serious injury or death. When working under a RV follow all manufacturer recommendations for jacking and supporting the weight of the RV. If you do not understand the proper procedures do no attempt to work under a RV. A simple mistake or misunderstanding can result in serious injury or death. 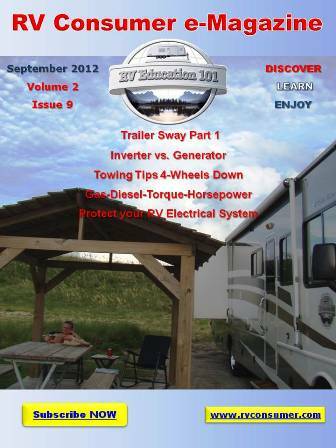 Some systems and components on RVs can be dangerous to work on or around. If you are not familiar with systems and components on RVs like LP gas, 120-volt electricity, 12-volt batteries and appliances do not attempt to work on these systems or components.